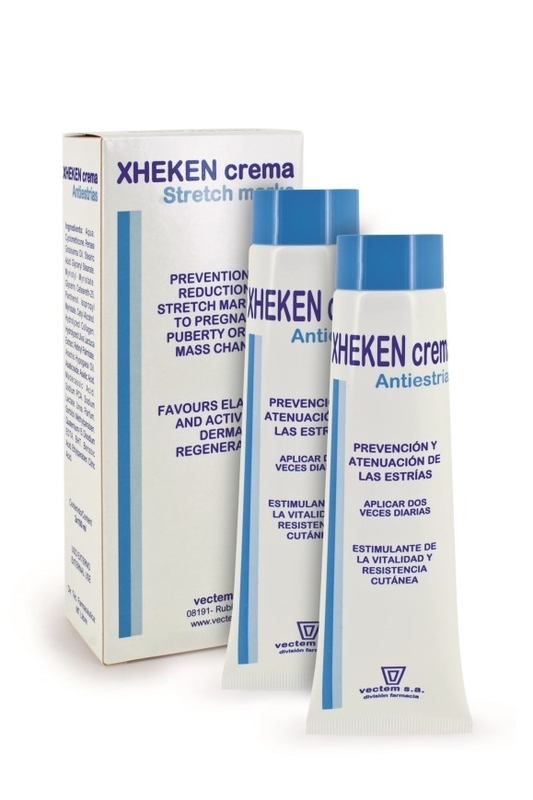 XHEKEN CREAM , vectem s.a.
Includes a series of ingredients which improve the skin's suppleness and elasticity and provide moisturise and nutrition while stimulating regeneration and repair. · Improves skin conditions associated with stretch marks caused by pregnancy, puberty, distension or other factors. · Ingredients include Centella asiatica triterpenes, seaweed peptides, oils rich in polyunsaturated fatty acids and panthenol, hydrolysed collagen, moisturising factors, etc. These contribute to increasing skin resistance to stretching and to the effects of hormonal changes, reducing the risk of fibre breakage and stretch marks, and help reduce signs of newly formed stretch marks and skin slackening.